How quickly does your new car lose value? According to a recent AAA study, consumers don’t understand how quickly their new vehicle purchase loses value. A new vehicle decreases in value as soon as it’s driven off the lot. In fact, depreciation accounts for almost 40 percent of the cost of owning a new vehicle. That cost alone could account for more than $3,000 per year and is influenced by a number of factors, including shifting consumer preferences. AAA urges car buyers to think about factors, such as market trends and length of ownership before they purchase their next vehicle. Auto Basics owner Stan Tillman said some of his customers are shocked when they find out the value of their car three to four years after it was purchased new. “In many cases, after three years, wholesale value of that vehicle may be half of what it was new,” Tillman said. AAA’s 2018 Your Driving Costs study found demand for sedans has slipped as American appetite shifts to SUVs and pickup trucks. As a result, depreciation costs of these once-popular vehicles increased up to 13 percent compared to last year. Electric and hybrid vehicles, however, have seen a gain in popularity with 20 percent of Americans saying they will likely go electric for their next vehicle purchase, up from 15 percent the previous year. This year, these vehicles also saw a dip in depreciation and offer many cost benefits such as lower repair and maintenance bills, making going green a more affordable choice than in years past. Buyers often only give priority to purchase price and monthly payment when choosing a new car, sometimes selecting a vehicle based on the best deal available. The length of car ownership, however, is of equal importance. At Auto Basics, some cars and trucks are only a year or two old, Tillman said. Consumers who plan to keep a vehicle for only a few years should be cautious of deep discounts and incentives offered by automakers and dealers. These are often designed to sell less popular models and directly influence depreciation. Low down payments and extended finance terms can also have a similar effect. Stretching a car loan over five, six or even seven years may be an effective way to lower payments, but owners may quickly find themselves owing more than the vehicle is worth. Buy (gently) used – Prior to purchasing a pre-owned vehicle take it to a trusted repair facility to be checked out. 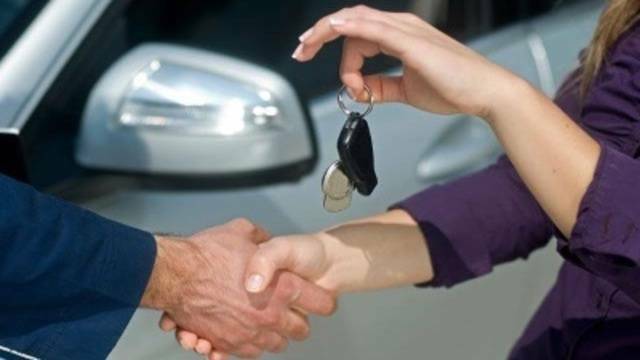 By driving a pre-owned vehicle in good condition, ownership costs are significantly lower. A safe, reliable vehicle can be found at an attractive price point. Reprint FTJ – Copyright 2018 by WJXT News4Jax – All rights reserved.